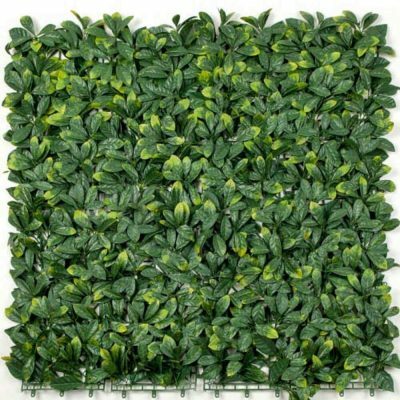 An elegant handmade and assembled UV engineered Green Wall that looks amazing! Have you always dreamt of having your very own desert oasis, full of ferns, grasses and vibrant greenery? Well now you can with our custom made Desert Fern Select Range Vertical Garden. 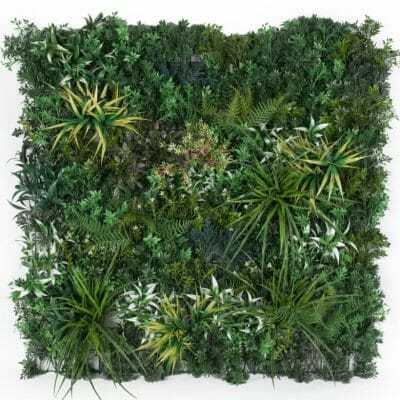 Each panel has been designed to provide a wide range of botanically correct plants, with 11 kinds of foliage elegantly blended together to create a stunning evergreen setting that will liven any setting with lifelike colour. Its design ensures that it looks highly realistic and meets the expectations of leading designers, architects, landscapers and discerning individuals and couples. In total, each panel contains at least 80 different plants, however should you require – extra plants can be added in. For example a stunning Boston Fern can add fantastic depth and variation. This bespoke green wall is made with a galvanised metal backing and weighs approximately 6.5kg per 90cm x 90cm panel. This product has been fire tested in Australia against AS/NZS 1530.3:1999 with testing reports documented. 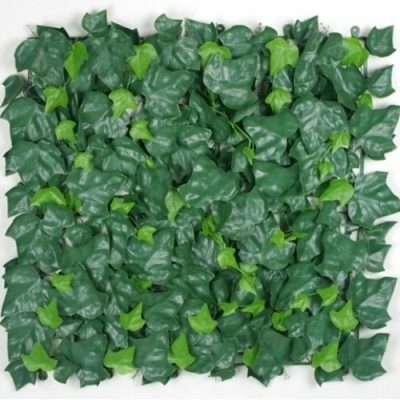 A truly elegant handmade and assembled UV engineered green wall which is perfect for any home or commercial environment. 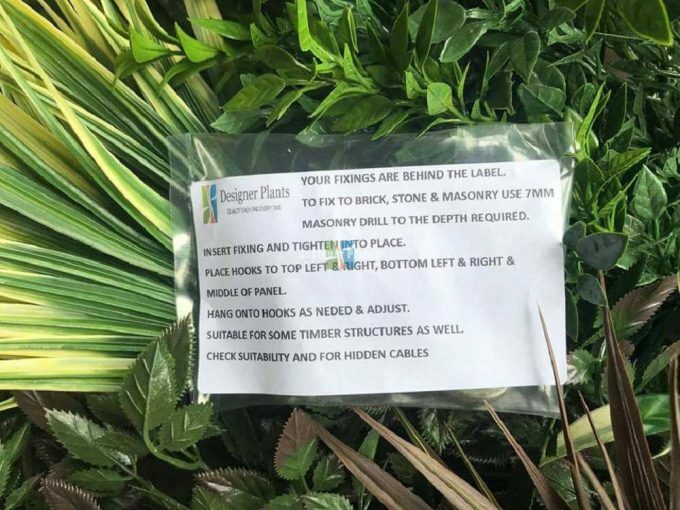 Notes: Should you require a different handmade custom artificial green wall or vertical garden let us know, and we can quote accordingly. If you are looking for design advice, please contact our fabulous design team to work through all the options. Many different complimentary styles of foliage. Metal backing frame to ensure easy installation. I had been wondering for months since I moved into my apartment how to add ‘green’ to my space. These panels are nothing like I’ve seen before from hardware shops. The foliage was so detailed and life like! Thank you! !